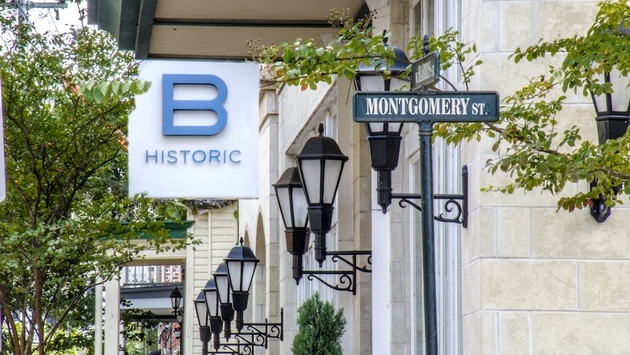 B Hotels & Resorts debuted its first property outside of Florida, with the late October debut of B Historic Savannah. The opening of the Savannah property, however, is just the beginning of a nationwide expansion to a range of major U.S. markets, said Ayelet Weinstein, B Hotels and Resorts president and CEO. Although Weinstein said she could not yet disclose specifics of the expansion, she said the company is assessing locations in such cities as New York, Washington, Seattle and Los Angeles. Currently, the lifestyle brand operates the B Resort & Spa in the Walt Disney World Resort and Miami, b2. In the middle of next year, it will unveil its third Florida property, B Escape & Marina in the Florida Keys’ Marathon Key. The property, which is located in the city’s historic downtown district and formerly operated as a Country Inn & Suites, was designed to reflect the ambiance of Savannah, said Weinstein, and incorporates art from local artists, which guests may purchase. As is the case with all B properties, cutting-edge technology is a major selling point at the Savannah hotel, which features free WiFi and complimentary iPads that can be borrowed from the front desk. 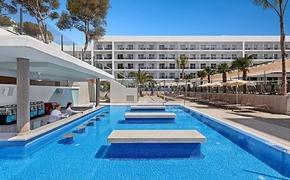 In addition to a real live human concierge, the property is equipped with a touch-screen digital concierge that provides guests with pertinent hotel and destination information. It also offers guests an app that can be downloaded phones with information on everything from hotel amenities to flight updates to weather forecasts. B Hotels & Resorts is in the process adding other signature elements to the hotel, said Weinstein, including The Blissful Bed, the brand’s bedding; a B Indulged Spa Suite; and B Treated, featuring $5 snacks. The property is also equipped with a fitness center and 1,000 square feet of meetings space. A complimentary coffee and tea service in the lobby is available in the mornings. In other developments, the Savannah hotel will institute a B Humane program, which is designed to protect indigenous species. “Each property has its own B Humane program, with part of the proceeds from the program going to the preservation of wildlife,” said Weinstein, adding that B officials are in the process of choosing an animal to serve as a mascot for the hotel. The B Human program at The Walt Disney World property, for instance, is operated in conjunction with the Wildlife Foundation of Florida, with the endangered gopher frog serving as its mascot. Rooms and suites feature stuffed gopher frogs toys that are available for sale, with some of the proceeds donated to Wildlife Foundation. Such programs as B Humane, said Weinstein, were designed to appeal to the type of guest that the brand targets: curious-minded, tech-savvy individuals interested in immersive travel experiences. She said the company encourages its guests to explore each hotel’s destination, and features a B Adventure program with recommendation’s on excursions, attractions and dining options. “We want our guests to get a taste as to what the destination is all about,” Weinstein said. The company also features a Preferred Travel Agent program, providing agents with the tools and information they need to sell the brand’s properties. After agents complete the educational component of the program they can take advantage of special rates, quarterly newsletters and fam trips.